Buenos Aires Center Director Meliné Koruk received her bachelor’s degree in Public and Institutional Relations from the Universidad Argentina de la Empresa (UADE), a master's degree in Sociology and Cultural Analysis from Universidad Nacional de San Martín, and is currently pursuing her Ph.D. in Policy and Management of Higher Education at Universidad Tres de Febrero. 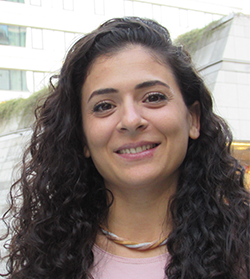 Before joining CEA, Meliné lived in Turkey for more than seven years, where she was the International Relations Manager at Koç University in Istanbul and the Deputy Director of the International Office at Yasar University in Izmir. Prior to moving to Turkey, Meliné worked at UADE as an Incoming Student Advisor. After gaining extensive experience in supporting international students, and building sustainable relations with university partners and institutions from all over the world, Meliné decided to come back to her hometown of Buenos Aires, bringing with her the global experience gained over her 12 years of professional life. Witnessing different cultures while traveling and working in Latin America, Europe, North Africa, the Middle East, and Asia allows Meliné to provide an amazing experience for CEA students in Buenos Aires. 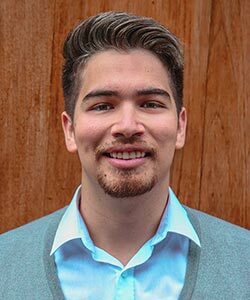 Jose has a BA in Communication from Arturo Michelena University in his home country Venezuela and is a TEFL certified instructor from the Hunter College of the City University of New York. Before relocating to Buenos Aires, Jose spent eight years working as an English professor for private institutes and universities, gaining experience in teaching and supporting students from all ages and with different language needs. He also has a professional background as a cultural events producer, handling logistics and social media presence and in management assistance for a health-related organization. Having travelled through the USA and visited different Latin American countries, Jose is passionate about working in an international environment and using his communication, teaching oriented and social skills to bring cultures together and provide a great academic experience and support for CEA students in Buenos Aires. Julieta earned a degree in Journalism from Salvador University and studied abroad in Bethesda, Maryland, where she completed an Advanced Intensive English Program. Before joining CEA, Julieta spent six years in the IT, non-profit, and events industries, developing her communications and presentation skills. 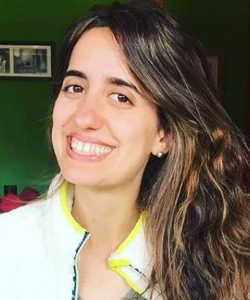 As CEA Buenos Aires' Program Advisor, she is responsible for planning, budgeting, and executing trips, excursions, and social events, as well as supporting students with their needs on-site.